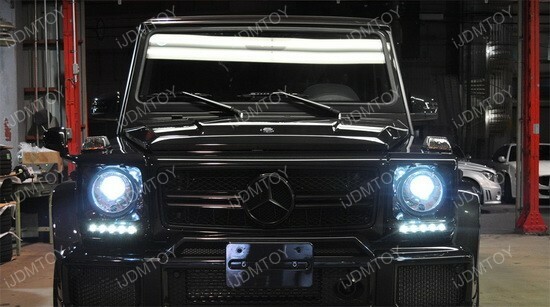 These direct fit LED daytime running lights for the Mercedes G-Class is really one of a kind. 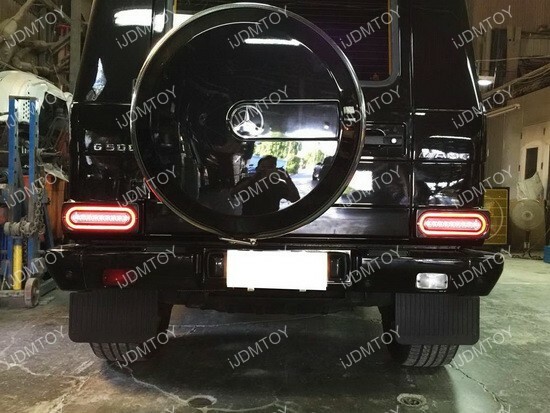 The Mercedes G-Class is already a pretty uncommon vehicle so adding some unique G550 OEM LED daytime running lamps definitely takes the cake. 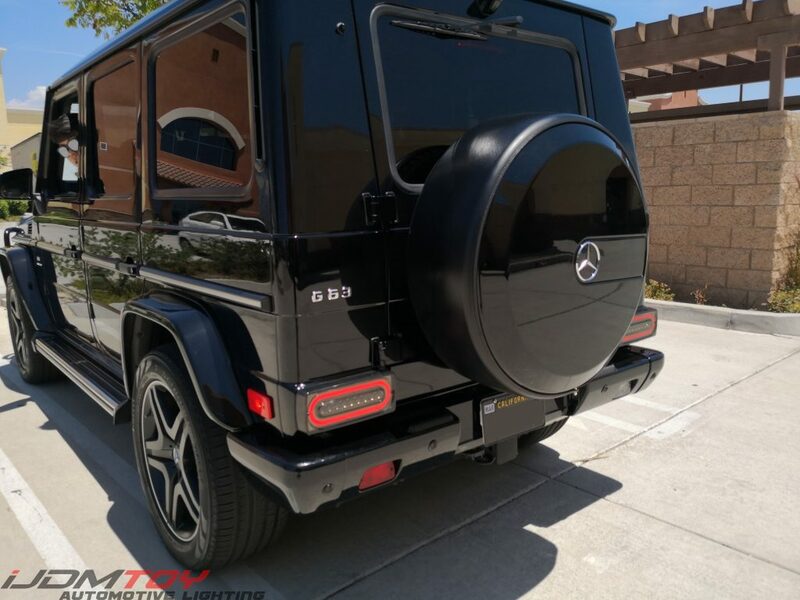 The look of these G-Class LED DRL lights is inspired by the 5-LED DRL that is seen on Mercedes Brabus G-Class AMG, so you can get pretty much the same exact look without having to fork over the extra sticker price. This LED assembly has every bit of the classy, iconic look that goes with the G-Class and exudes a sort of eccentric charisma that’s seen on very few vehicles.